Classic Upward Bound is a federally funded program whose goal is to motivate and provide academic assistance to eligible high school students who show promise for success in education beyond high school. Located on the campus of Norfolk State University, the Classic Upward Bound Program has two phases, a summer phase and an academic year phase. During the summer, students come back and forth to campus the first three weeks, stay on campus for two weeks, and have a travel week where they visit different college campuses. The entire six weeks they receive intensive classroom instructions to prepare them for the upcoming school year. During the academic year phase, students attend sessions on Saturdays and receive individualized tutorial instructions designed to enrich their performance in high school classes. The program is offered to ninth through twelfth grade students who reside in Norfolk and Suffolk. Selected students shall show potential for success in a two or four-year College, but because of inadequate educational preparation, admission to such an institute would be difficult without the benefit of Classic Upward Bound. The faculty consists of local high school teachers and Norfolk State University faculty, who also provide workshops and seminars. 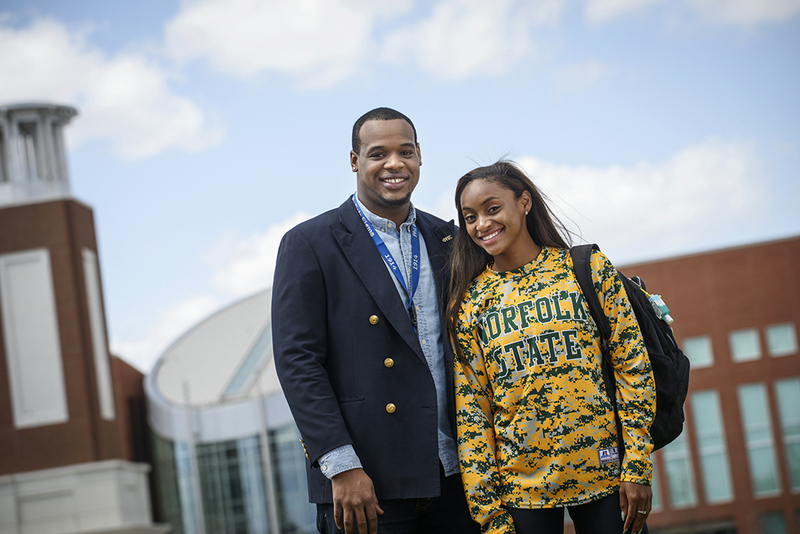 Norfolk State students work as tutor-counselors for the program. They assist the instructors in the classroom and communicate with the Classic Upward Bound students on a more personal basis.